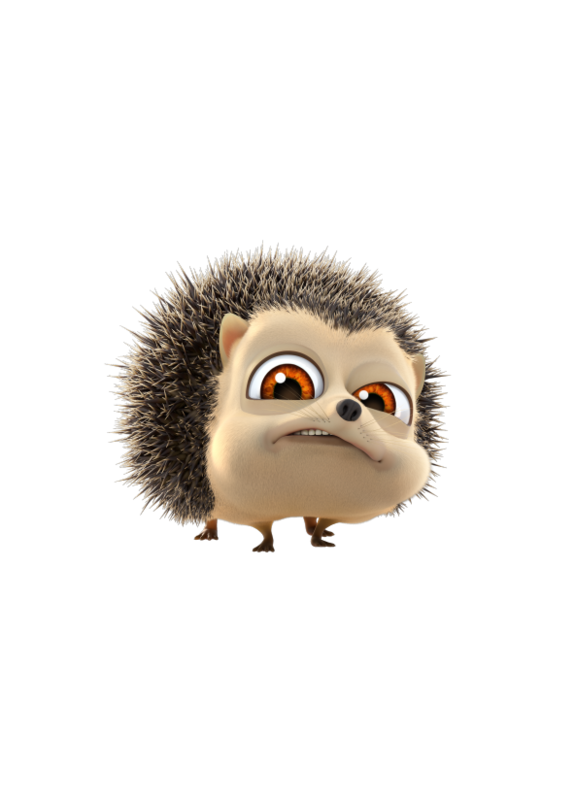 Humph has prickles on the inside and the outside. He’s the cranky old curmudgeon whose door kids dare each other to knock on, whose garden swallows up stray balls, whose pristine lawn is an obsessively guarded paradise. Touchy, territorial and fanatically tidy, Humph is suspicious of the jungle crew’s spontaneous and spirited mayhem - his perfect pile of leaves! His trimmed and tidy lawn! His sense of order and control in this universe of volatility and chaos! Humph feels safe when he knows that eveything is just so - but with Munki and Trunk for neighbours, nothing ever is... Humph can go from calm to angry spinning angle-grinder in seconds if he feels threatened or undermined. Humph is most afraid of ridicule and wants to be taken seriously as a leader and pillar of the jungle community. Unfortunately, he only succeeds in taking himself too seriously. A lovable grouch, Humph might be a lot less prickly if he let his spikey guard down just a little and reached out for what his squishy little heart really needs - a hug. There are four different types of hedgehogs, five if you count the Jungle Beat hedgehog.